A special function was held on Maniratnam’s forthcoming magnum opus ‘Raavanan’ in Chennai recently. Chiyaan Vikram, Priyamani, Karthik, Prabhu, Vairamuthu, AR Rahman , Manirathnam and others were attended the event. 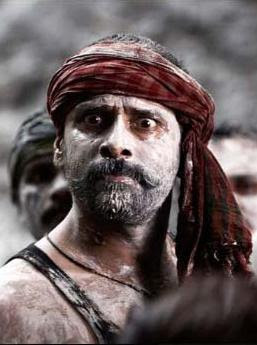 When actor Chiyaan Vikram was asked about the movie that whether ‘Raavanan’ is an inspiration from epic Ramayana, he replied that it is not just a Ramayana, even it has the traces of Mahabharata and Silappadhigaram. To a question that he is Raavanan in the film, he says that it is his pet name in the movie. During the event, Vairamathu read out the lyrics that he had written for the film and AR Rahman sang it on the stage.